GATINEAU, QC (February 3, 2018) – Gymnastics Canada is honoured to announce our award winners in women’s artistic gymnastics for 2018. 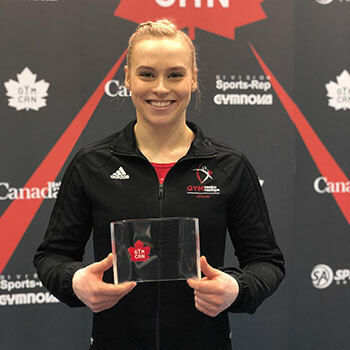 The winners were presented with their awards on Sunday afternoon as part of the 2019 Elite Canada competition that took place at Centre sportif de Gatineau in Gatineau, QC. To read full Gymnastics Canada article, please click here.